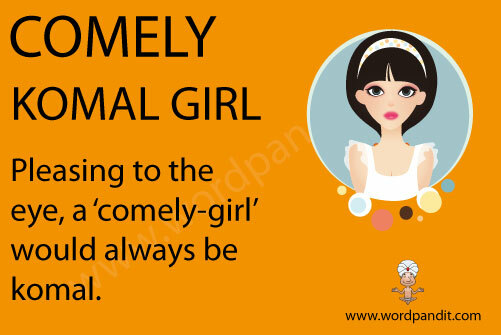 Comely bole to Comel, Comel bole to Komal, the hindi name which stands for delicate, pretty and pleasing. 1. Pleasing and wholesome in appearance; attractive.